B&O Play H6 Generation 2 review | What Hi-Fi? The B&O name is associated with luxurious opulence as much as sound quality. It’s good to see the B&O Play H6 Generation 2s aspiring to that sophisticated emphasis, even if using high-grade materials can sometimes result in there being too little left in the kitty to deliver inspiring sound. That's certainly not a trap Sennheiser Momentum 2.0s or Beats Studio 2.0s, for instance, have fallen into. Both sell for broadly the same price as these stylish B&O. Traditional B&O products tend to look, for better or worse, like they might be part of an odd art installation. The Play range, of which these H6 headphones are part, is different. It’s full of mainstream audio products. They just tend to use higher-end materials than most. In the Play H6 Gen 2, this means the pads are made of lambskin leather rather than synthetic leather, and the padding uses memory foam. Given this fancy approach is core to their appeal, it’s disappointing to see a ring of plastic (‘polymer’) around the earcup caps, but the mission to come across as luxurious is largely a success. Our test sample is in tan/silver, but an all-black finish is available too. These are full-size headphones, with a clever design able to enclose most ears even though the cups are not terribly deep. On first wearing the pads feel a little hard and the headband pressure significant, but this soon corrects itself as the memory foam fits to your head. It’s a rare set of portable headphones that becomes more comfortable as you wear them, but the B&Os are suitable for all-day use and the fit is secure. You can run in the B&O Play H6 Generation 2 without them threatening to fall off, and the clever foam seems to all-but nullify any obvious sensation of pressure once bedded in. Headphones this snug are not always comfortable, but the woven fabric headband interior (which is grippier than smooth leather) helps. The outer band is leather, though, so B&O doesn’t lose any luxury points here. These headphones use a removable cable, and two come in the box. One has a remote optimised for iOS, the other doesn’t. The cable only needs to plug into one earcup, but there’s another socket on the other ear to let you feed a second pair of headphones for music-sharing. It’s an unusual feature in such a grown-up pair, usually seen in headphones aimed at a younger crowd, but is welcome. You can also choose which cup to plug the standard cable into - both work. One missing element is a folding headband. The aluminium stems look elegant, but are rigid. The cups do twist flat, though, and there’s a dual-layer fabric pouch in the box to stop the headphones getting damaged in your rucksack (or briefcase). It’s a more practical approach than including a semi-rigid case. The B&O Play H6 Generation 2s’ sound is best described as breezy. 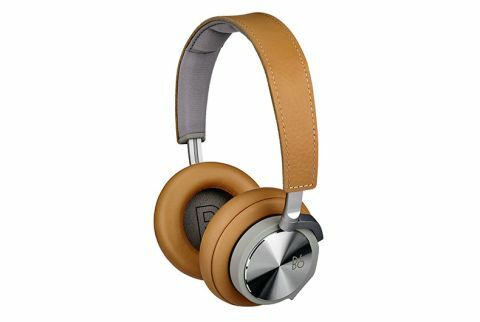 These are smooth-sounding headphones, with an open and light character. Velvet-like upper-mid range detail is perhaps the strongest element, and this is appreciable at any volume. They are excellent headphones for listening at lower volumes, with no sense they need more to ‘come alive’. The soundstage is fairly wide, and stereo imaging precise. These aren’t super-bright headphones, the treble is smooth-but-detailed rather than challenging and brimming with high-frequency sizzle, but this fits with the pair’s style. They are easy on the eye and easy on the ear. With no obvious tonal flaws to pick out, it’s comparison with the best competitors that will reveal if the Generation 2s are really equipped to shoot to the top of your wish-list. The Sennheiser Momentum 2.0s - an obvious rival - have greater mid-range weight, and better definition in the mid and lower-mid frequencies. This lets them render, for example, a baritone singer’s voice with more authority than the Play H6 G2, which rely on their sweet upper-mids to provide the bulk of vocal detail. The Sennheisers have greater overall weight, too - the B&Os are smoother and a little cleaner-sounding. Take your pick. Like almost headphones in this class there’s a slight emphasis on bass, but the B&O Play H6 Generation 2s are anything but bass-led. Once again, the Sennheiser Momentum 2.0s have greater presence here, and slightly snappier bass decay, but both have satisfying low-end output and respectable accuracy. The B&Os could do with a bit more rhythmic snap though, with hard-hitting music sounding a little less energetic than we’d ideally like. But a combination of style, comfort and fine sound make these one of the better premium portable headphones around. Their blend of quality and performance is definitely appealing.